So in 2009-2011, Will Ferrell had a bit of a cultural moment, at least in my school and seemingly amongst a lot of people on the internet. Many of my friends seemed to like pages like ‘Will Ferrell Memes’ and others on Facebook, and the page for the film Step Brothers currently has over nine million likes. It is now 2018, Ferrell’s most recent films have been sequels to more successful originals like Zoolander 2 and Daddy’s Home 2, and it feels like the right time to finally, finally get this off my chest: I have never found a Will Ferrell fronted film remotely funny. No, not Elf, nor Anchorman, nor it’s surprisingly popular sequel. Don’t get me wrong, his relatively smaller part in Zoolander as the corrupt fashion designer Mugatu raises a few laughs in me, and I found his voiceover work in Curious George sincere and endearing. However, in each of these roles, not only does his appearance in the film make up a far smaller fraction than in Step Brothers, his characters also have a concept behind them aside from ‘whiny shouting misogynist manchild’. This makes up his entire character in this film, and whilst I’m aware that a lot of people find this funny and charming, I do not have that ability. In a way this post functions as the other side of the coin to my review of the second Austin Powers instalment, with me finding that film funnier than many of the reviewers that dragged it down to a 51% rating. In this case, I’m the snobby reviewer with a stick up their arse decrying the movie as childish and mean-spirited. In fact, the latter criticism is the main issue I have with the film compared to The Spy Who Shagged Me. 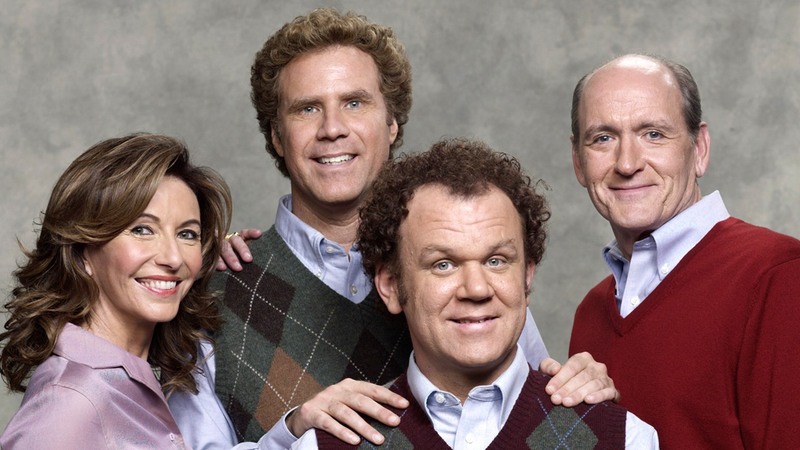 Step Brothers, to me at least, is unpleasant and cruel in a way that none of the fun-loving Austin Powers movies are. We as the audience are meant to find humour in Ferrell and John C Reily (who I generally like) hurling insults like ‘r***rd’ at each other and beating each other up, whilst simultaneously making the lives of their long-suffering parents even more difficult. And this wouldn’t feel like as much of an issue if director Adam McKay didn’t seem to expect the viewers to not only tolerate the two protagonists’ actions, but genuinely find them sympathetic as characters. If you do like this film, please continue to do so, and disregard my previous statements. Some of the top Rotten Tomatoes reviews remark on the ‘die-hard Will Ferrell fans’ and how the film is ‘unashamedly dumb’, and this is something I can’t really say I understand, but this doesn’t mean that it is inherently bad. Personally, I would give this film around a three or so out of ten, but attempting to rate any kind of comedy film feels incredibly futile, even more so than other genres. So, despite all my bashing of the movie and of Will Ferrell in this post, take away the message that comedy ratings are meaningless, and that you should base seeing one at the cinema on whether it’s the kind of comedy or comedian that you enjoy before anything else.